With SmartCryptor the encryption key is dynamically generated. Cryptographically, there is not sufficient data to regenerate the key material. So, even if someone was to penetrate into the server, there is insufficient information to break the system and get to the key or the passwords that were generated with that key. SmartCryptor works on a cookie-less, PKI free architecture and together with our patented SmartKey encryption. Encryption keys are managed client side (but never stored) , meaning only customers know the encryption keys to decrypt their data. Thus the data remains private even when exposed to the cloud. Customers control the data at every stage. From the time a file leaves your system till the time it reaches the authorized user it remains encrypted and can only be decrypted by the person authorized to do so. 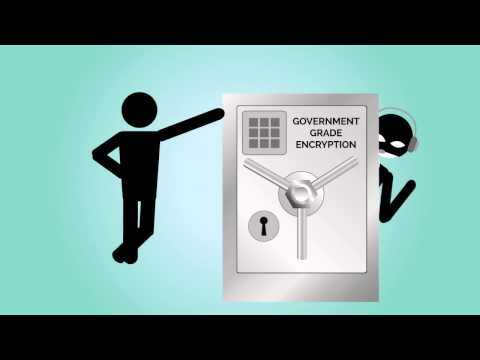 With SmartCryptor customers can manage access to the encrypted data. Our patent-pending algorithm splits the decryption key into multiple parts, only allowing people authorized to access the encrypted file to decrypt it. In any case the access of others can be revoked anytime. SmartCryptor can be used to encrypt and store files on your local storage device like laptops and desktops or on cloud storage services like Dropbox, GoogleDrive, Box, OneDrive etc. Moreover, access can be revoked anytime through any device, even while on the go. For businesses SmartCryptor provides the option to integrate their Identity Stores (AD/LDAP, Google Apps, Salesforce etc) with SmartSignin so they can manage access rights of all their employees and partners from one dashboard. SmartCryptor allows two way syncing with identity stores and makes it super easy for an administrator to on-board or off-board employees from company's resources. After reviewing several cloud security products, we found that SmartCryptor's unique technology not only provided the security but also privacy to the data that is being stored on the cloud or locally. With security breaches being a regular occurrence these days, SmartCryptor is a fantastic solution. SmartCryptor takes less than 2 minutes to setup. As soon as the setup is done you can start encrypting your files with a simple drag and drop functionality and decrypt them by double clicking on the encrypted file in the application. No need to setup any virtual drive or special partition on your local machine. Moreover, simple interface makes it really easy for even a non tech savvy user to take advantage of SmartCryptor. While other solutions can be reverse-engineered, it is not possible to do this with SmartCryptor. With SmartCryptor, files can be encrypted and stored on local or cloud storage while upholding the security. No 3rd party can ever decrypt this data as the encryption key lies only with the customer. Businesses can now let their employees share confidential documents via web without worrying about the data being read by any entity or by the cloud storage vendors itself. SmartCrytor provides special reports for businesses using which administrator can monitor the flow of data in and out of the organization. In case of any suspicious activity our Granular Audit Logs can tell administrators when a person added, edited, deleted or shared a file with someone else, in and out of the organizationand and can help track the suspicious activity back to the user. The centralized access tracking and automated periodic reports helps customers comply with HIPAA, Sarbanes-Oxley and other forms of legislation. While managing a BYOD policy can be tricky sometimes, managing it with SmartCryptor is a piece of cake. SmartCryptor manages the complete security lifecycle of the data from authentication, authorization, access to auditing. Administrators can grant or revoke access to any encrypted data with a few clicks and manage the complete access rights of every employee through one dashboard. Employees can access data from inside or outside the company firewall without jeopardizing the security and further share it with others. However, at the same time administrator will always be aware of who has access to which data set thereby ensuring complete control over the organization's confidential data. SmartCryptor can be white-labeled according to brand identity of the service provider. Service providers can further become a re-seller of SmartCryptor and offer the product to their customers thereby ensuing a constant stream of revenue while enhancing the security of their customer's data. Below are some frequently asked questions for SmartCryptor. Q. What type of pricing plans does SmartCryptor offer? Q. Who are the typical users of SmartCryptor? Q. What languages does SmartCryptor support? Q. Does SmartCryptor support mobile devices? Q. Does SmartCryptor offer an API? Yes, SmartCryptor has an API available for use. Q. What other apps does SmartCryptor integrate with? Q. What level of support does SmartCryptor offer? Q. Which apps is SmartCryptor compared to most often?